Margrethe Vestager, Member of the EC in charge of Competition, will held a press conference on an antitrust case.The European Commission has fined Google €1.49 billion for breaching EU antitrust rules. 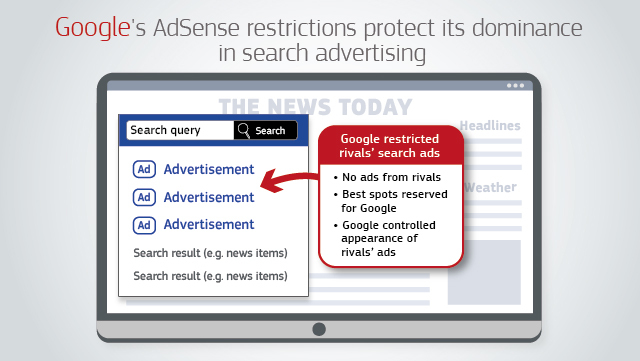 Google has abused its market dominance by imposing a number of restrictive clauses in contracts with third-party websites which prevented Google’s rivals from placing their search adverts on these websites. © European Union, 2019.